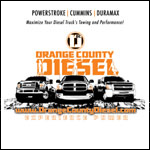 Welcome to the nation's diesel performance parts experts where we will settle for nothing less than the best. 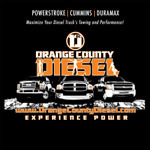 Buy from OC DIESEL and receive excellent customer service on quality components at the lowest price online. Purchase the Calvert Racing CalTracs Traction Bars now at this low price for a limited time only. For Use with Stock Height Suspensions. Lifted trucks will Require a Calvert Racing Monster Front Pivot Plates Set (Sold Seperatly). Specializing in leafspring traction enhancement systems for over 15 years, the Calvert Racing Team knows what it takes to get your car hooking harder than ever! With unsurpassed quality and craftsmanship, all competition is eliminated. Why settle for anything less than the original system that set the standards? Calvert Racing CalTracs are the most innovative traction bar units today, often imitated, but never duplicated. If you have a leafspring truck, we have a set of bars for you! From daily driven trucks, to 8-second outlaw trucks, this system is made to out perform! Buy the Calvert Racing CalTracs Traction Bars from OC DIESEL and Save! Call today and ask for one of our Calvert Racing CalTracs Traction Bars Experts! OC DIESEL settles for nothing less than the best customer service with unbeatable prices on the CR 5510 (Calvert Racing CalTracs Traction Bars). Call (714) 848-2170 now.